There are several types of bankruptcy. Chapter 7 Bankruptcy is the type of bankruptcy that most comes to mind when someone thinks about bankruptcy. It is the bankruptcy proceeding that basically eliminates all (or close to all) of a person’s debt. WHAT HAPPENS TO A PERSON’S DEBT UNDER CHAPTER 7 BANKRUPTCY? When a person files for relief under Chapter 7 of the Bankruptcy Code, most, if not all of a person's debt gets eliminated (the legal term is "discharged"). IS A PERSON WHO FILES BANKRUPTCY ALLOWED TO KEEP HIS OR HER PROPERTY? In most cases, most, if not all of a person's personal property can be protected under the property exemptions. ARE THERE ANY RESTRICTIONS FOR FILING CHAPTER 7 BANKRUPTCY? There are no debt restrictions when filing Chapter 7 Bankruptcy; however, there are income restrictions since the Bankruptcy Law was changed in 2005. But even considering these restrictions, many people still qualify for relief under Chapter 7 of the Bankruptcy Code. 3. HOW LONG MUST SOMEONE WAIT TO FILE IF THEY HAVE FILED BEFORE? Eight (8) years for Chapter 7. No, but most of them. Child support, back taxes, and student loans, among others, generally cannot be discharged. Chapter 7 basically eliminates all of your debt. Chapter 13 bankruptcy is a repayment plan. 10. HOW DO "DEBT RELIEF" COMPANIES THAT ADVERTISE ON TV COMPARE TO BANKRUPTCY? These are companies that advertise getting your debt reduced and paid in full in a short amount of time, usually three years. But this only gets your debt reduced, not eliminated. And the "forgiven" portion of your debt (the amount these agencies get "reduced") must be claimed as income on the debtor's part. This may not affect everyone, but if the amount of debt lowered is substantial, it could affect the debtor's tax bracket and actually increase his or her income tax liability. And sometimes the amount these companies ask you to pay each month may actually go up if they are unable to negotiate favorably with one or more credit card companies. So although the over-all concept of handling debt this way sounds good, it usually doesn’t prove to be the most advantageous way of coping with debt. 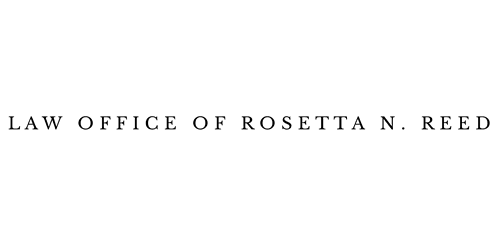 One thing to know if you decide to pursue that “fresh start” Chapter 7 bankruptcy offers, at the Law Office of Rosetta N. Reed, you never meet with a paralegal in conjunction with your bankruptcy case. The attorney conducts the initial interview, reviews your information, drafts your petition, is always available to answer questions, oversees the signing of your documents, files your petition with the federal bankruptcy court, and attends the Creditor's Meeting with you.